One of my not so fond memories of childhood is being ambushed by a bunch of angry bees. That buzzing noise gives me the chills to this day, and from what I’ve seen I’m certainly not alone. I know how to avoid getting stung for the most part, and luckily I’m not allergic. But what about our pets? Do you know what to do when your dog gets stung? 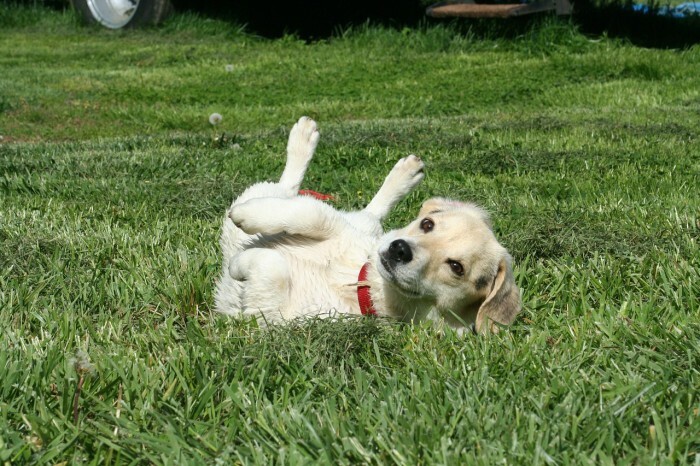 Stings are fairly common for dogs, and most of the time they won’t cause major problems. But as with humans, some dogs are severely allergic to stings, so it’s important to monitor your dog closely after they’ve been stung. A little bit of swelling around the spot where they were stung is normal, but if the swelling becomes severe they need to be taken to the vet. If you have any doubts it’s always safer to call the vet. For dogs that are allergic to bee stings their reaction can be life threatening. 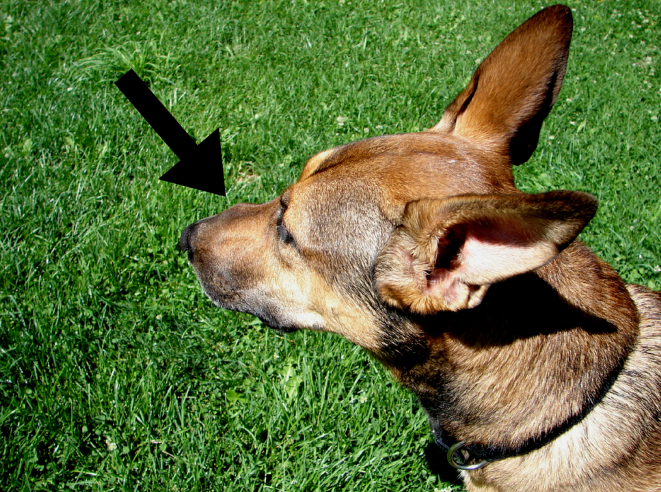 Most dogs will have a little bit swelling and tenderness around the area where they were stung. Watch your dog closely after they’re stung to make sure the swelling stays mild, and that they don’t develop any additional side effects. 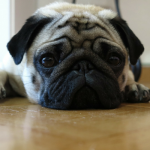 If your dog exhibits any any of these symptoms take him to the vet immediately. Dogs that are allergic to bees (or whatever stung them) can go into into anaphylactic shock which is fatal unless treated quickly. If your dog got stung once you can expect him to have some mild pain and irritation for a few hours. A localized reaction, meaning mild swelling and tenderness around the area of the sting, is normal. Any swelling that spreads beyond that point that can indicate a more serious reaction. 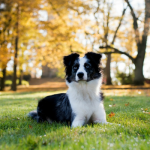 If your dog was stung inside the mouth you should take him to the vet; any swelling in the throat can cause breathing complications very quickly. Removing the stinger quickly will keep the venom from spreading. Be careful not to rupture the stinger when you remove it, if possible use something rigid to scrape it; fingernails and credit cards usually do the trick. Monitor you dog to make sure the swelling doesn’t increase or spread. Some of your dog’s swelling can be reduced and relieved with a cold compress. I prefer using a cold wash towel, and applying it directly onto the site of the sting. You can also help relieve some of the pain and irritation by making a paste out of baking soda. Mix 1 tablespoon of baking soda with water until it creates a thick paste, and spread it over the site of the sting. 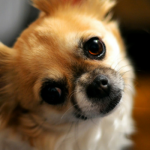 Some allergy medications contain ingredients that can cause adverse reactions in dogs. 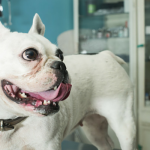 Don’t give your dog allergy medicine without consulting a vet. If your dog was stung multiple times you should get him to the vet. Stingers are full of poison, and any pet that has received multiple stings should be monitored for complications. It doesn’t take long for a dog to have a severe reaction to multiple stings. Be on the safe side and call your veterinarian if you suspect your dog may have received multiple stings. Laika got stung recently, luckily it was a mild reaction and the stinger was able to be removed in one piece. Great info, thank you for sharing! 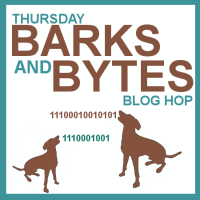 Thanks so much for joining the Barks and Bytes hop. This is great information. I will share it on Facebook!